September 28, 2015 by Ecommerce News. About Awards with tags The United Kingdom. 5344 views. 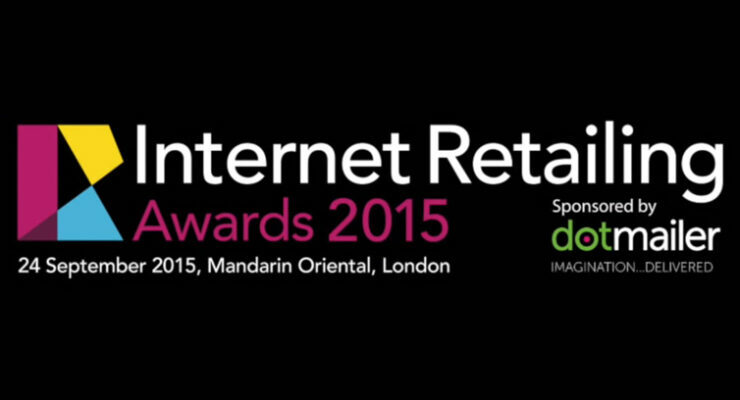 House of Fraser was the absolute winner of the Internet Retailing Awards, which were handed out last Thursday. The British department store group went home with three awards. It won the Innovation award, the Mobile award and the Judges’ award. The 5-star luxury hotel Mandarin Oriental in London was where it all happened last week. According to the organization, ‘leading lights’ of the ecommerce and multichannel industries in the United Kingdom attended this event which was all about who would go home as a winner. There were several awards to give away. For the Innovation award, the shortlist consisted of big players like Amazon, Google and Marks & Spencer. But at the end of the night, it was House of Fraser who won this award. During the last years, House of Fraser has become a real multichannel retailer by offering mobile in stores and buy-and-collect innovations. The retailer’s app detects customers who are in a store and will then automatically slip into store mode, as ComputerWeekly.com writes. The app then brings relevant functionalities such as scanning capabilities, stock levels and navigation maps to the front of the app. That’s maybe also the reason why House of Fraser won the Mobile award, defeating other nominees Naked Wine, Spreadshirt and Yoox.com. The latter was awarded the global e-retailer of the year during the Internet Retailer Conference and Exhibition in Chicago a couple of months ago. The Digital Store Award counted eight nominees, but of course there’s always only one that can win. It wasn’t Argos, Halfords or Made.com, but Marks & Spencer (also nominated for the Innovation award) went home with the award. The Customer award recognizes the impact upon the customer and her experience created by the winner. “The award winning company will have done things that make the customer go ‘wow’, and the rest of the industry long to emulate them”, the organization wrote about this prize. Nominees were ao.com, Dixons Carphone, eSpares, Ikea, John Lewis, Lovehoney, Watchfinder and Zopa, but ultimately it was eSpare who went home with this award. There was also room for acknowledging companies that have created international markets for their products and services, whether they are pure play ecommerce retailers or multichannel players. That’s why the International Award was handed out. And just like in 2013, the winner of this award was Asos. The Market Entry award, for new market entrants who have caught the eye of both customers and peers, got to HelloFresh, while taxi service Uber got home with the service retail award, for companies who sell direct to consumers yet who do not deal in product. Alexandre Meerson defeated companies such as Burberry and Michael Kors and got the Brand award, for a brand that has embraced all aspects of multichannel retailer and sells only their own products. TradePoint won an award as best B2B multichannel company, while Alexandra got rewarded with winning the InternetRetailing award, for which Internet Retailing readers voted for the retailer that most impressed them over the year. And the absolute winner of the awards night, House of Fraser, also won the Judges’ award and was called the 2015 best retailer, as picked by the judges. On October 13, the eDelivery Conference takes place in London. One day later, it’s time for the 10th edition of the Internet Retailing Conference, also in London.